The year 2018 has seen some of the most substantial developments in both the legalization and the industrial advancement of cannabis when compared to preceding years. With Canada lifting the prohibition, the number of countries in which the recreational use of cannabis is legal has risen to two. Medical use of marijuana has seen an even wider adoption across the globe, as more and more countries are allowing the medical treatment of patients with cannabis. Furthermore, Several stocks of cannabis companies were able to record incredible price increases. Tilray, for example, reached a roughly 1300 percent growth at its peak and is currently valued north of $10 billion. Additionally, as recent reports from Canada reveal, venture capitalists are constantly on the hunt for new, promising marijuana growers and retailers to invest in. There’s no other way to put it: 2018 was the best year for the cannabis industry so far. Let’s take a look at all of the memorable events and think about what it might mean for the next year. Canada introduced the legalization of hemp for medical purposes in 2001, with Health Canada leading the new national health program. Citizens have since been allowed to home grow cannabis or to buy it directly from Health Canada, provided that they have a prescription for medicinal cannabis. It was under Prime Minister Justin Trudeau, a member of the Liberal Party of Canada, that the Cannabis Act was passed, and prohibition was effectively lifted, on October 17, 2018. Since that day, all adults living in Canada are legally allowed to possess up to 30 grams of cannabis and grow up to 4 plants from licensed seeds. After being asked for his motivations for the full legalization of marijuana, Trudeau confidently responded, “obviously the current approach – the current prohibition of marijuana – has not worked to protect our kids, to keep the money out of the pockets of organized crime and that’s why we’re bringing in a new legalized framework around marijuana.” The Cannabis Act is, without a doubt, a milestone in the legal history of cannabis and serves as an important reference for prospective lawmaking in other countries. Venture capitalists in Canada are currently on a cannabis spending spree that already amounts to about $8 billion, which clearly trumps the $1 billion that got invested into cannabis companies in the previous year. The biggest deal of the industry was made in August 2018 by Constellation Brand Inc., which acquired over 38 percent of the Canopy Growth shares in a $4 billion mega-deal. At the beginning of 2018, one of the most iconic U.S. states in regard to marijuana, that is more commonly known as California, eventually legalized recreational marijuana. The state is hoping to step into the footsteps of the widely-known success story of Colorado, as researchers of the Colorado State University found out that the legal sale of cannabis products came with a strong economic benefit for its counties. Several other U.S. states legalized medical marijuana during this year’s mid-term elections, including Utah and Missouri. The cherry on top would be Michigan, where voters approved a proposal that should fully legalize recreational marijuana by the end of the year. Together with the entirety of the west coast and 4 other states, the first Midwestern state has now opened up towards the recreational use of cannabis. With more and more states introducing legalization — the current number of states in which recreational marijuana is legal amounts to 10 –, it is to be expected that cannabis will be a prominent subject on voting ballots in other states when looking into the future. The medical marijuana liberalization also didn’t make a halt before Europe. Several European nations, such as Germany and Greece, already permitted the use of medical cannabis flowers in 2017. Right now, we are starting to see an overall great development in the markets of those countries. The demand for therapeutic cannabis flowers is steadily growing in Germany, but the country still lacks proper legislation for the professional cultivation of the plants. According to Peter Homberg, an expert in German cannabis laws, the government is currently working on a solution to tackle this issue. 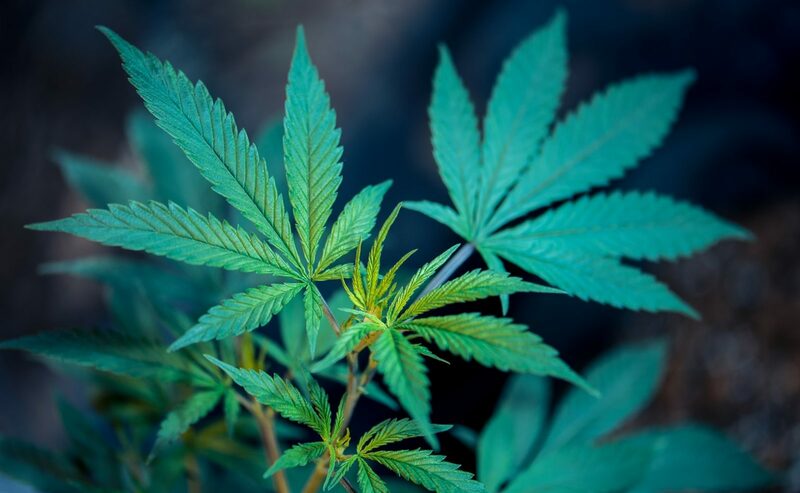 “I am sure that it is already optimistic to say that Germany will be harvesting medical cannabis in 2019,” said Homberg in a recent interview with Labiotech. A similar development can be found in Greece, where lawmakers introduced new reformations for the growing of medical cannabis in the middle of the year. Additionally, the Atlantic state of Portugal, that is also known for having one of the most liberal drug legislations in the world, finally made the step to fully legalize cannabis flowers for pharmaceutical purposes. On the other side of the world, Thailand is another country that made headlines with new policies on cannabis this year. Although penalties for drug trafficking are still severe in the South Asian country, the Health Ministry of Thailand will be deciding on a regulated use and distribution of medical marijuana in the near future. Recreational cannabis will not be legal, however, public interest and demand for medicinal usage are high, which is why the measure was taken in the first place. Last but not least, we found South America to be another rising star in the cannabis industry. We all recognized Uruguay as the first country in the world to completely legalize cannabis for private use, but the overall continent appears to be very open-minded in regard to cannabis. Cannabis is either decriminalized or available for medical use in the vast majority of South American countries. Now, also due to the fact that the environment is highly beneficial for growing hemp plants, those nations could eye a powerful entrance into the economy of legal marijuana. As of now, several reports mention Colombia as a potential, highly impactful player in the medical marijuana market for 2019. Moreover, the Canadian enterprise Aurora, a cannabis behemoth that already acquired at least 10 companies in the past two years, is currently looking for an acquisition of ICC Labs Inc., which is nothing less than Uruguay’s biggest cannabis player, with a total market share of more than 70 percent. In Mexico, the war on drugs has killed nearly 250,000 people. A broad legalization of cannabis could also potentially reduce the endless violence that is coming from the notorious South American drug cartels. In Mexico, where the war on drugs has killed nearly 250,000 people and led to the disappearance of another 40,000 in the past 12 years, the national Supreme Court ruled the marijuana prohibition law to be unconstitutional and therefore illegalized the prohibition of cannabis. While this is not equal to a general legalization, Mexico definitely got a step closer to the liberation of the green gold. The ball is rolling, and its rolling fast. The world of legal cannabis is recording one milestone after the other, with global demand continuously growing. Events like in Canada, where the newly legalized weed was already sold out one day after its allowance, show that the industry has the potential to become one of the most powerful in the world. In addition, with South Africa’s supreme court legalizing the private use of cannabis as the first African country, the potential for future developments on the continent in regard to cannabis legalization significantly rises. It remains to be seen what accomplishments may happen in the following year, but as of now, we can’t see a reason for why 2019 should not build on the great success of its predecessor. Our Author thinks that 2018 was a huge success for the cannabis industry. What do you think of the current developments? Let us know in the comments. Great cannabis content on your website!